On this 86th Anniversary of our Air Force I look back with pride. I am grateful to the Air Force that shaped me from a boy just out of university to a responsible Air Warrior. Down the road were mentors and harsh testing times that shaped me professionally and hardened my determination to do the best that I could within my reach. It was the overwhelming spirit of Air Warriors that took our Service to far greater heights than what individual contributions could. I salute them. There have been several important mile-stones that we crossed. I have tried to recall some of those that I felt to be path-breaking but surely there would be several more that others may recall from their own experiences. For the first 15 years after the birth of Royal Indian Air Force, it took orders from the British. In 1947, it was set free – while still learning to crawl. Resources were severely limited, and the fledgling democracy had more serious issues to tackle. The IAF leadership was under 30 years of age with practically no experience in establishing a complex Force and therefore the government had to choose a British RAF officer as the first Chief of the Air Staff. Established practices, procedures and formal policies were borrowed from the British and it took the IAF decades to gain experience and develop its own. At Independence, the Air Force had eight fighter Squadrons with which it did brilliantly to stem the tide of Pakistani forces attempting to invade Kashmir. Tempests and Spitfires of the IAF, the legacy fighters of World War II bombed the intruders. IAF pilots flew untiringly the old Dakota to ferry troops and material to Kashmir against odds that helped to save Srinagar. In May 1948, The IAF made a pioneering effort landing a Dakota at Leh on an air-strip made with perforated-steel-strips (PSP). They then ferried troops to Leh crossing the mountains that helped to block Pakistani expansion. India was never a part of any group or alliances where the partners could support each other. Indian Air Force was not built on aid, but every penny came from the taxpayer. It had no mentors and no external support. It evolved from within. We learnt early that an Air Force is expensive to manage and that no Air Force can survive without indigenous Aerospace infrastructure. Air Force created its own military industrial arm (Base Repair Depots). 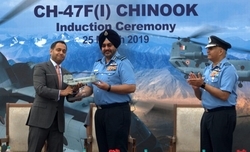 Indian Aeronautics and Civil Aviation got valuable support and specialists’ advice when required from the Air Force towards achieving a comprehensive national Aeronautics capability in India. A private sector enterprise was converted to PSU that could build aircraft – which became HAL. Senior Air Marshals were seconded to the HAL to provide the leadership it required. Later, two of them became the CAS. Prime Minister Nehru’s effort initiated the first license production of HS-748 in Kanpur and the Gnat at Bangalore. The Air Force had a natural urge to design and develop aircraft and all related sub-systems indigenously. Our first endeavor was Kanpur-I that was a small piston-engine aircraft developed in 132 days by the initiative of the Air Vice Marshal Harjinder Singh, then, the Commander in Chief of Maintenance Command. Many Air Force officers volunteered to work in HAL which they did with equal enthusiasm. From 1948 till 1962, the Air Force was employed in routine peace-time tasks and training. Helicopters were introduced that further explored the Himalayas and North-East, landing at places that were hitherto inaccessible. During this period, jet fighters (Vampire, Toofani, Mystere-IVA and Hunter) were introduced including Canberra medium bombers. While focusing to build and to train, the Air Force was also involved in operations simultaneously and to tackle many disaster situations. The IAF was utilized to control insurgency in the East. The first operation that it participated was to liberate Goa from Portuguese occupation. It was a short and swift. Subsequently, the Air Force got seriously involved in developing far flung areas in Ladakh and in the Eastern Wing.The country was jolted in 1962 when Chinese troops marched in. The Air Force was least prepared. There was scant knowledge on the capabilities of Chinese Air Force. The Air Force lacked adequate air armament, trained pilots and support systems including intelligence and spares. That was the time when I started to train on the Hunter. 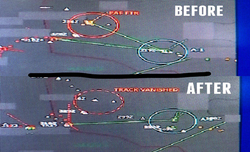 The Americans supplied some radars and trained some of our pilots. We learnt very well on how to fly aircraft, but the tactics adopted were those evolved by the British during World War II. Then came the 1965 War that turned our tactics upside down forcing us to evolve. The experience was an eye-opener. During 1965 conflict the MIG-21 pilots flew in their pressure suit flying at supersonic speeds whereas combats were happening lower down, a few hundred feet from the ground. They had to discard their pressure suits, learn to fly at tree-top heights and combat at low levels that was achieved long after the 1965 war. Thanks to the visionaries of that time; a handful of capable pilots were picked to evolve tactics as a special task and that was the birth of TACDTE (Tactics and Combat Development and Training Establishment). The Air Force was well set when called to battle in 1971. With great courage and skill Canberra and fighter forces flew day and night. Transport aircraft and helicopters were used on bombing and offensive role in an audacious manner! Their crew flew with great alacrity. TACDTE pilots flew long range night missions singly on dark nights at low levels that was an incredible feat. They used odd Russian terminology as code on their R/T for informing their whereabouts. The conversation was intercepted by the Pakistani who thought that the Russians were flying with us! The IAF emerged victorious and proud. We cannot forget the brave aircrew who did not return from their missions. The 1971 War gave a fresh focus to the IAF over its importance and the necessity to train hard and well. Globally, India was a bit isolated at the time. Cold War politics had pushed us towards Soviet Union and we were branded as an ally of the Communist Block. We inducted missiles, weapons, aircraft, ships and tanks besides other military hardware from Soviet Union, but our minds and hearts were free. There hardly seemed any choices that the Air Force could make. Some of the operational systems, notably, the AN-12, IL-14, SU-7, the MIG-23BN and later the MIG-27BN were given to us most of which were not well suited, but we tried to get the best out of these machines. The MIG-23MF was offered to counter the new acquisition of F-16 by Pakistan. We soon found out that this was not match to the F-16. Most Air Force weapon systems that came from the Soviets were decades old in design. Exploiting MIG-21s and SU-7s was hard that cost us lives when flown to the edge of their capabilities. SAM-II liquid fueled surface-to-air missile was the first induction of SAMs in India. The SAM-II rocket helped us to learn about rocket engines and evolve our indigenous programs. The situation changed gradually around 1975. Decades after buying the Hunter from Britain, we chose the Jaguar. This was followed by Miragae-2000 from France. It took the Air Force years of hard work to gain experience and to grow into a matured, professional Air Force. It was left to the Air Force to explore and exploit the inventory to the best ways possible and within the means available. Innovation in air and ground became the trademark. We had very good leadership that encouraged initiative. Risks were taken but honesty and integrity were the drivers. Personnel ‘owned up’ faults and failures but were never curbed of their initiatives or punished for that. Professionalism was demanded from the lowest of the ranks and was respected. The new century brought a new life and freshened the spirit of the Air Force. By then, it had established its credibility. The Air Force got its ‘force-multipliers’ – aerial tankers, AWACS, UAVs and improved sensors and weapon systems. In a dramatic way the Mirage-2000 demonstrated precision attack in the Himalayas during Kargil conflict. 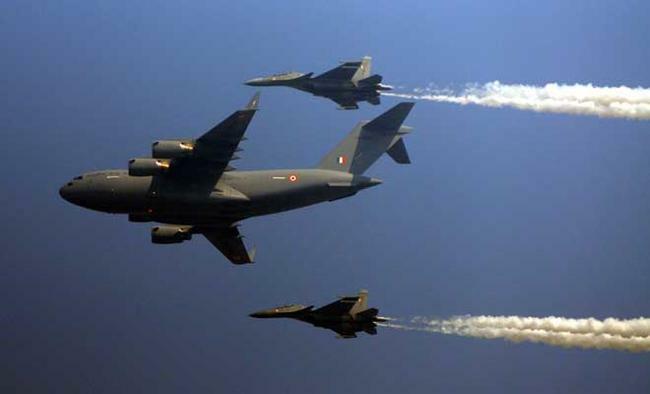 The Air Force interacted with foreign Air Forces and planned exercises with them. Within six months of induction of Tanker aircraft, Jaguars became operational to be refueled mid-air, which usually would call for a much longer period of training. We acquired good sensors, weapons and operational systems from the Israelis. We achieved a break-through with US. We inducted C-130J Hercules and C-17 Globemaster from the US. These had outstanding performance and were put in service with no problems. 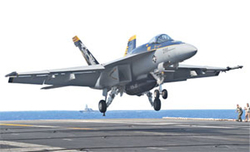 The Air Force took it in its stride when the opportunities arose to deploy its combat aircraft across the oceans supported by aerial refuelers and transport aircraft. For the very first time, IAF Jaguars flew across half the globe to Alaska in 2004 to exercise with the USAF. This was followed by similar exercises with the Air Forces of France, Britain, Germany, South Africa, UAE, Singapore, Israel, Malaysia and Australia. Many of these Air Forces were invited to exercise with IAF in India. The IAF flew creditably and is today recognized for its professionalism. AWACS have made special contribution being the ‘eye-in-the-sky, being able to detect intruders at ranges far beyond what the ground radars could detect. These elements today are well networked with other elements on ground and in air. All Air Force activities are now systematized into process and procedures and not decided by individuals at the spur of the moment or cop of the British. The assets of Indian Air Force in 1960 had a few Air Elements that were cobbled together under one operational authority. The elements consisted of few fleets of fighters, bombers, transport aircraft and helicopters. Ground assets were a few radars and airfields with basic infrastructure, primarily operable during day. Base commander was the King and operated independently. The Air Force today is a fully integrated Force with wide ranging capabilities of high standard that are comprehensively networked. Integrated Operational Elements are grouped geographically under Air Commands as a comprehensive structure. The Commands operated independently. The Air Force developed the capability to deploy outside national territory as was done during Srilanka operations. Sheer variety of elements and capability require thorough training and high-quality maintenance. Keeping this in view, the Air Force has two functional Commands – the Maintenance Command and Training Command that provide quality support of high standard to operational Commands. Air and Technical Staff direct through a range of processes and procedures for effective operations and training. Skills and ability are evaluated periodically by a range of ‘Inspectors’ to ensure the capability is steadily improved. Today, the IAF can launch complex operations far away from ‘home-territory’ if required. Communication network of the Air Force is given a special focus to ensure security and adequacy. I was most fortunate to have served in the Air Force at the most eventful years of achievements and hard-work. The IAF has had the opportunity to calibrate its abilities with other modern Air Forces of the World which proved most valuable. These were excellent opportunities to learn. Indian Air Force today is well established in commensurate with our democratic national policy.Thr IAF combat aircraft today can get anywhere within the country in a few hours’ notice. They have done and are still doing admirable operations in disaster situations, be in Kochi or Orissa after rains, or Kashmir or Gujarat after earthquake or floods in Assam or Tsunami in Car Nicobar. They have saved boats in distress, mountain climbers stuck in glaciers and reached medical aid to those most needy. Jaguar, Mirage-2000 and SU30MKI are today capable for mid-air refueling during day and night and so also the C-130 Hercules. Our combat aircrafts supported by Tankers could fly from Pune to Andaman Nicobar Islands for operations and return without landing at any place in between – a mission that may last close to 10 hours! Looking back, it was a great struggle lasting over a decade to convince the government of the necessity acquire such capabilities that was worth the effort. The range of support that the Indian Air Force can provide is still expanding. AN-32 followed by C-130 landed and took off at Daulat Beg Oldi 5,100m above sea level, the highest airfield known. The Air Force opened an airfield in the Himalayas at Nyoma (4,050m) and landed AN-32 there. Modernization of Indian Air Force is a continuous process. The helicopter fleet is expected to be modernized with induction of Apache and Chinook. The new attack helicopter LCH would enter service shortly and so also new Utility helicopters. These would be cleared to operate at high altitude helipads in the Himalayas. 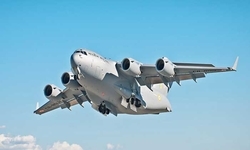 The Air Force is expected to acquire more Aerial Tankers and AWACS. Rafale followed by another 114 fighters are expected to join the Air Force besides 123 LCAs. India is designing the next generation of Combat aircraft and advanced UAVs. Indian Air Force pilots are likely to be the first Indian astronaut to be launched in Space by 2022 or so aboard an Indian Space Rocket. We look forward to the same commitment and professionalism from the next generation of Air Warriors – a tradition that would prevail – To Touch the Sky With Glory.Contribution by the Air Force will not be complete without the mention of that of Air Force families. They were as heroic as their men, coping up with frequent transfers, difficult locations with meagre facilities, children having to shift schools frequently and their sacrifice. We lost near about 85 Air Force personnel and families (mostly women and children) in Tsunami in Car Nicobar. We lost over 25 personnel in Bhuj due to earthquake. We owe it to them and shall always remember their sacrifice.